MOBULL ART PACKERS - Moving your fine art with care. For curators, museum registrars, dealers, artists, gallery owners and private collectors: Mobull is always a safe bet on the Belgium and international market of arts transport. An extremely professional and passionate team will be at your service for anything you may need. Museums and exhibitions: Mobull is your premium partner for expositions. Thanks to our global network of specialized agents we guarantee that the same standards shall be applied at the place of origin and at the destination. Our highly skilled staff and our state-of-the-art technology will make all your projects and events an entire success. Trade fairs: This department works in a very dynamic fashion. Mobull provides shipping arrangements at short notice. Heavy objects: A painting with dimensions of 5 times 4 metres suspended in a church, a 2-ton marble statute to be installed in a garden, a wall carpet mounted at a height of 4 metres in a castle, Mobull is your specialist for such kind of large projects. Our team of fitters will take the necessary measures to make of such kind of transport will run smoothly despite the difficulties and precision involved. Storage: We store your pieces of art on 5,000 m2 of fully air-conditioned storage area at two sites, close to Brussels Airport. Premium service for private collectors, gallery owners, artists and museum managers: We will always respond to your storage requirements offering major benefits, like private boxes or collective warehouses at the best possible storage conditions, i.e. air conditioning, humidity control, fire protection, equipped with an alarm system directly connected to the police station and local fire brigade. Mobull belongs to the Hasenkamp group. 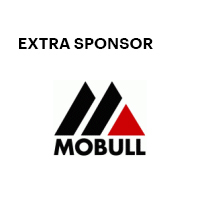 Mobull was a sponsor of EXTRA, the marketplace for scientific touring exhibitions.